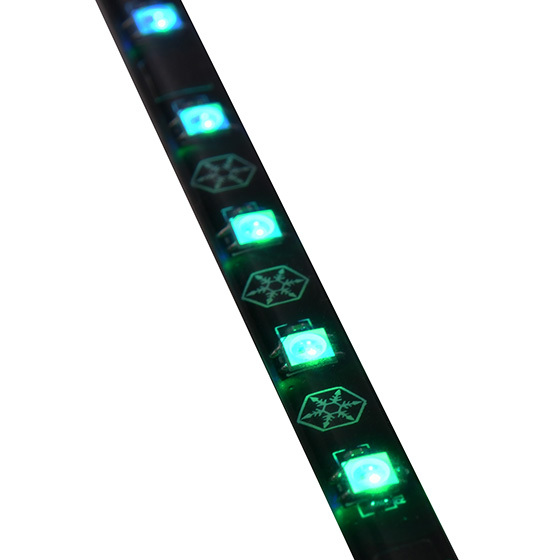 LED strip is a must have for any enthusiast looking to brighten up their PCs. 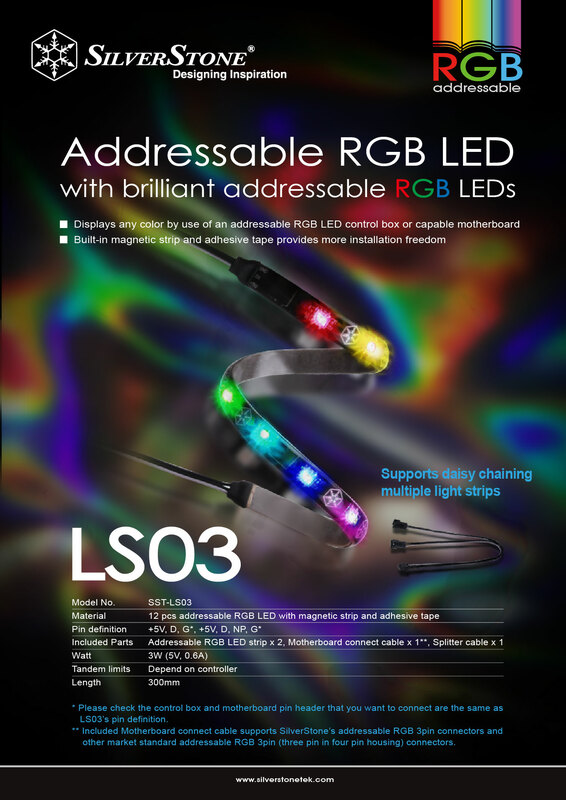 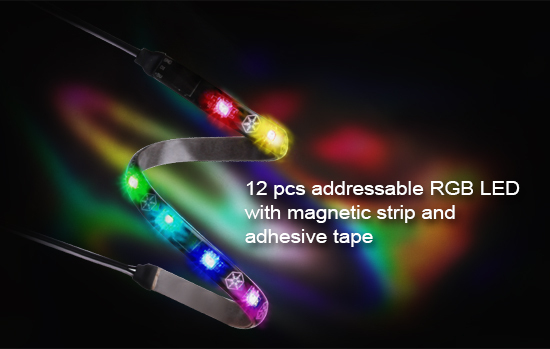 SilverStone created the LS03, an addressable RGB LED strip which allows for control of each individual LED to display colors independently for nearly unlimited combination of colors and gradients. 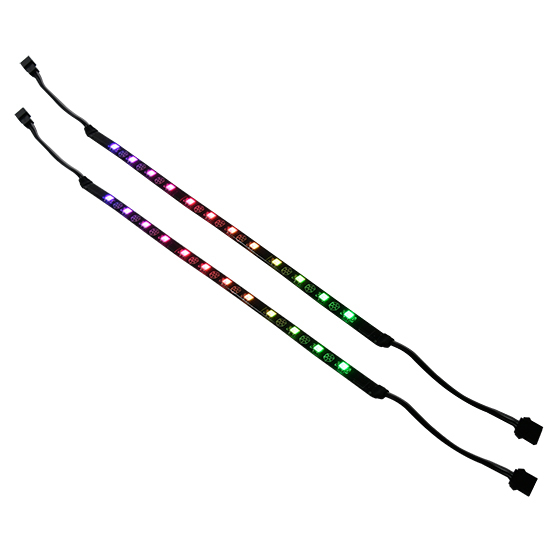 It can be controlled by hardware or software that can manipulate +5V, D, G, signals such as addressable RGB LED control box or motherboard to display user’s desired colors on each LED. 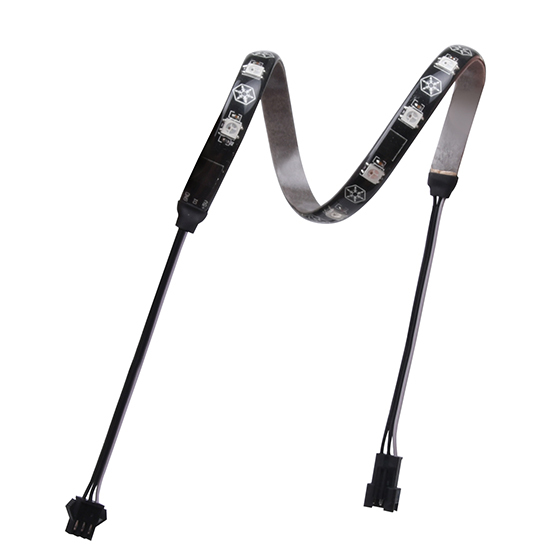 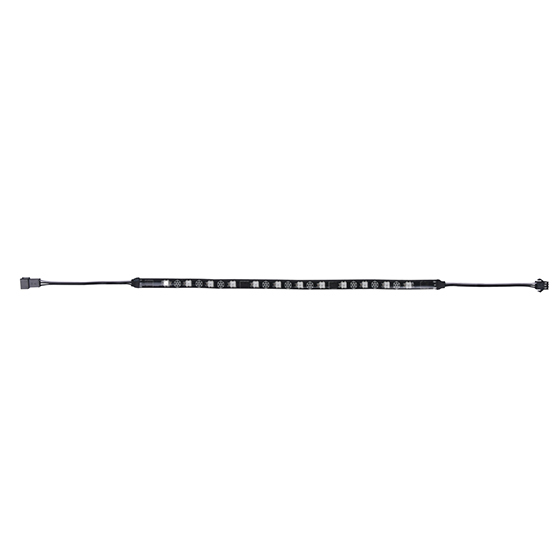 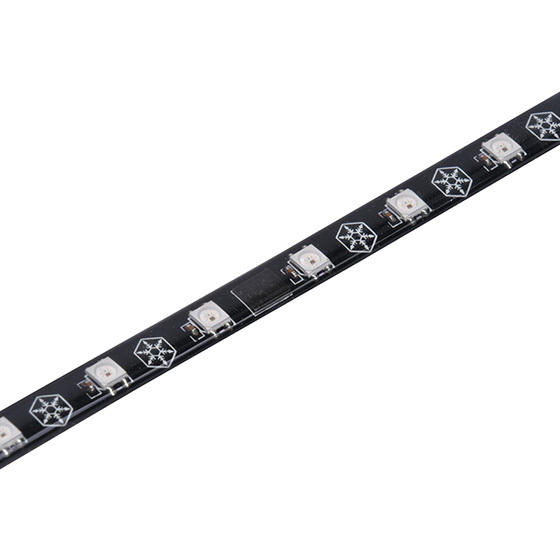 It also has the ability to daisy chain multiple light strips to accommodate various applications. 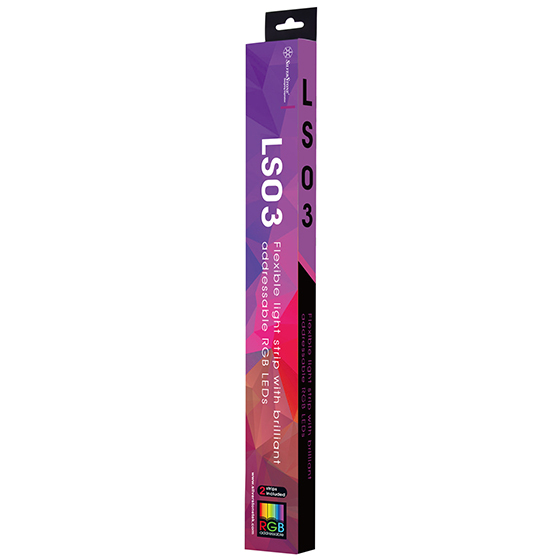 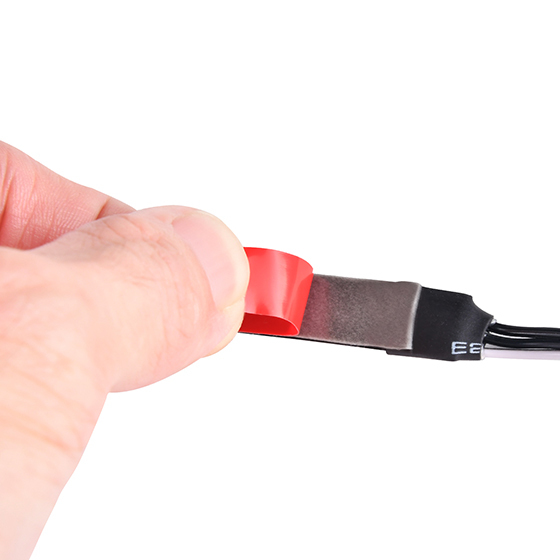 Finally, to improve ease of installation and replacement, the LS03 has both built-in magnetic strip and adhesive tape to better meet the demand of enthusiasts that require more flexibility in installation. 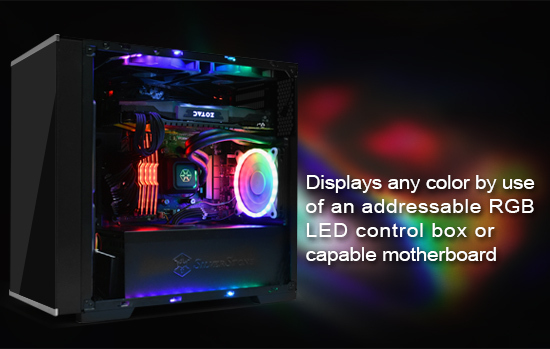 * Please check the control box and motherboard pin header that you want to connect are the same as LS03’s pin definition. 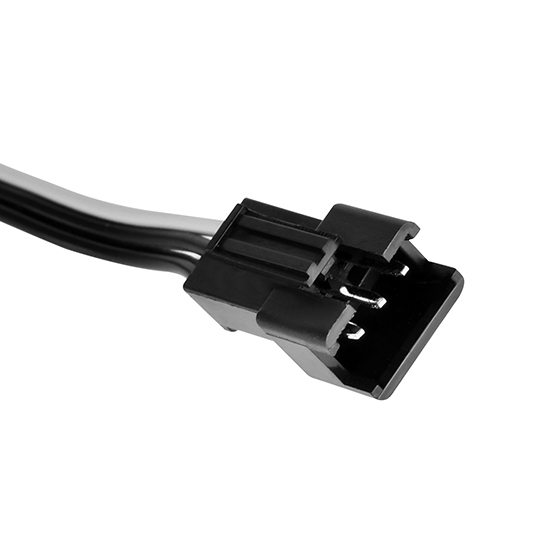 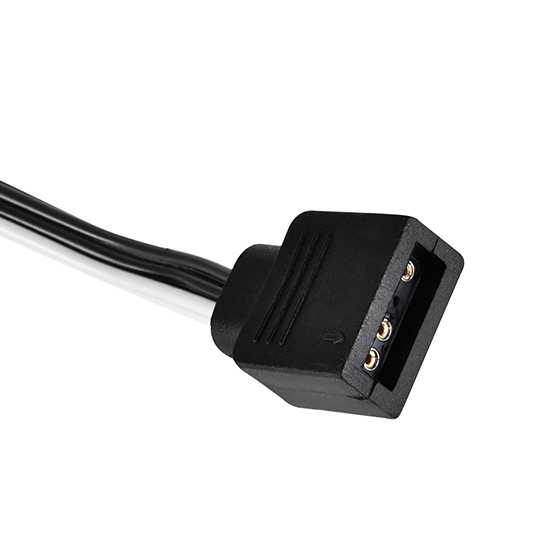 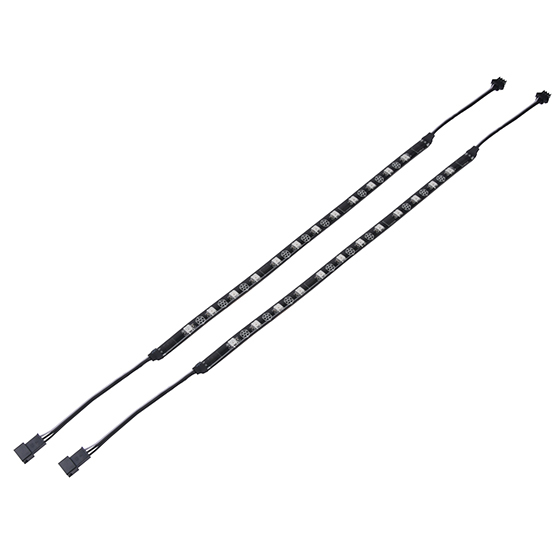 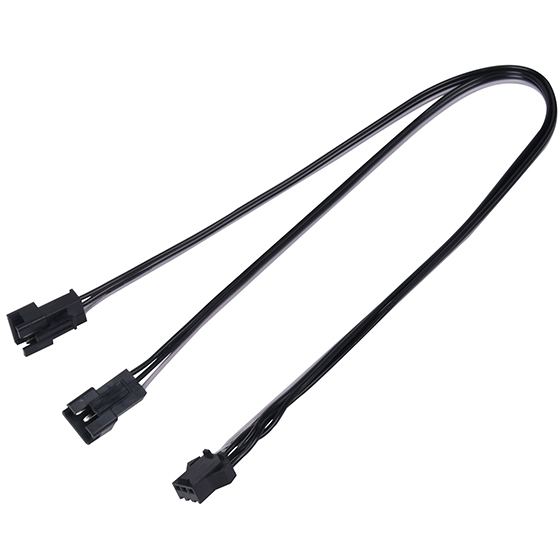 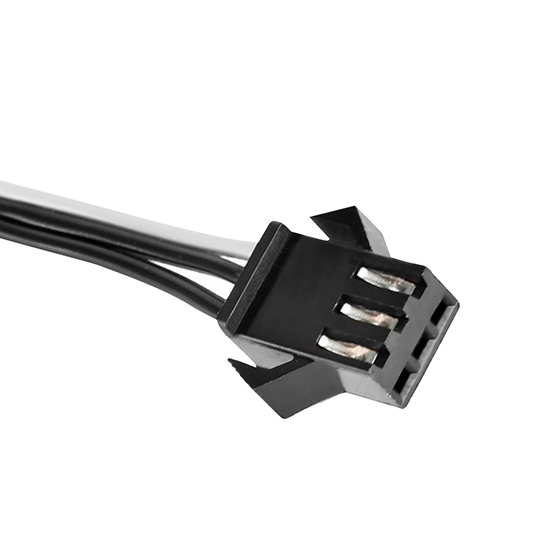 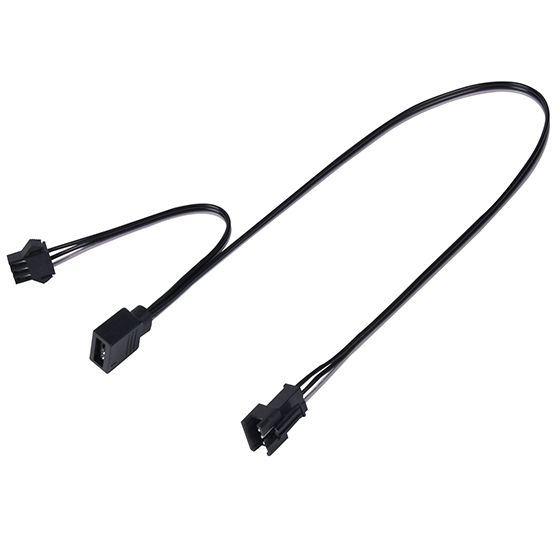 ** Included Motherboard connect cable supports SilverStone’s addressable RGB 3pin connectors and other market standard addressable RGB 3pin (three pin in four pin housing) connectors.